We will attempt to resolve things in the quickest and least disruptive way possible. This is a Hard Drive Caddy for connecting notebook hard drives into NEC Notebook Computers. NEC Versa 2000C. NEC Versa 2000D. NEC Versa 2000P. NEC Versa 2200C, 2205C. NEC Versa 4000C, 4000D, 4050C, 4050H, 4080H. We only tested it for power and it turns on. No further testing of this device took place. See pictures for more details. Model FD3238T for Dell Optiplex. NEC Floppy Drive. Cable, Housing. The Door is always open. and We'll leave the light on for Ya! All pictures are taken in house. stands to reason that issues will arise occasionally. We're eager to find an amicable solution when it does. SEE PHOTOS. All images taken in house of the unit(s) being sold, except for multiple quantities where item received will be in similar or better condition. Model: D5124. Manufacturer: Nec. NOTE : If you are buying this drive for the donor PCB board, we cannot confirm compatilibity. Service You Can Trust. We do our best to fully describe the condition of each item. 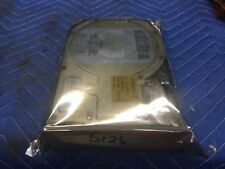 1.0gb NEC D3827 3.5" 50pin SCSI Internal Harddrive. Currently Amiga Formatted. Can be reformatted for whatever SCSI system your using. NEC 16x10x40 CDRW IDE Drive General Features: Black bezel Write Speed: 16x Rewrite Speed: 10x. NEC CDR-C301 Multispin 2X Disc CD-Rom Changer Imported Unit Powers on and all Disc Tray's Work Audio Output, SCSI Bus A and Bus B for daisy chain of units 120V or 220-240 V Ships by Serial #. Mfr Part #: NP44LP. NEC Projectors Lamp Power: 330 W. Check-Out Now! Limited Warranty: 1000 Hour. A new SCSI 40x CD-ROM drive in a new SCSI case. The SCSI case has 2 HD-50 connectors, a SCSI ID# switch, and a fan to keep the drive cool. Front loading using industry standard Disc Caddy. The 6Xi's data transfer rate of 900 Kbytes per second allows an user to see smoother animation and video. CHECKED IN WINDOWS ALSO, SEE PICS. Unless otherwise stated, this has been tested for key functionality. This has been tested and it is in good working order. It has been professionally wiped and is ready for use. Speeds - 40x. Read Speed - 40x. Buffer Size - 256 KB. It can burn DVD R discs at 16x, 4x for DVD RW discs, and 2.4x for DVD R DL discs. The DVD8301 writes to CDs at 40x, rewrite to CDs at 24x, and reads CD-ROM discs at 40x. 4x maximum rewrite speed (DVD RW). NEC CDR-500 3X 50 Pin SCSI MultiSpin 3Xi CD Rom Reader. DELL 0004921P 32X SCSI 50 PIN. 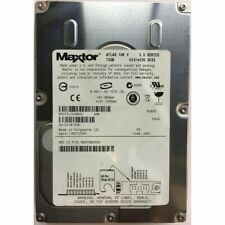 Internal 5.25" CD-ROM Drive - 04921P - 4921P. Interface SCSI. Buffer size 256 KB. Data transfer rate: 2100 KB /sec (inner side of disc). Photo CD (single-session and multisession). For sale is an Sony NEC Optiarc DVD/CD internal disk drive. This is a real nice clean unit and works well when tested outside the machine. Functions perfectly. It is a spotless case inside and out. NEC D3827 50 Pin SCSI 134-506650-301 1083.3 MB Desktop Hard Drive - Tested - Partitioned - Formatted - Working. Dell DVD R/RW and CD-R/RW drive. Model ND-3530A. Tested and works like new. It has two mounting screws included. Since I don't know your application, sale is AS-IS. 16X DVD R 8X DVD RW 8X DVD R DL 16X DVD-R 6X DVD-RW 48X CD-R 32X CD-RW. 16X DVD-ROM 48X CD-ROM. Player works and is exactly as pictured. DVD Burner. DVD family: 21600KB/S max. Data Transfer Rate. Write Speed. Read Speed. Panel Color. Form Factor. Data transfer rate 1,500-3,600 KByte/s read. PIO mode Mode 4. SAO (session at once). This is intended for machines up to Windows XP, or a system that still supports the 40 pin IDE Pata connection. We do not provide technical support for setup, installation or any other user-related issues. We don't have history or type of use of any item. We are not responsible for compatibility issues with you system or software. Includes 7 x S-VHS to BNC Male and 7 x S-VHS to BNC Female cables. Order now! Rewrite Speed - 10x (CD) / 2x (DVD-RW) / 2.4x (DVD RW). Buffer Size - 2 MB. Read Speed - 40x (CD) / 12x (DVD). Write Speed - 16x (CD) / 4x (DVD). NEC CD-R/RW IDE DRIVE MODEL NR-7700A BEIGE BEZEL TESTED! FREE SHIPPING!! Tested and works, thanks for looking and happy bidding. NEC ND-1100A DVD R/RW CD-R/RW Drive. Condition is Used. Shipped with USPS Parcel Select Ground. 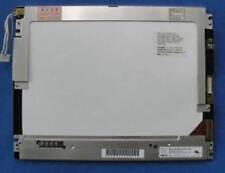 NEC NR-7500A 8X 4X 32X IDE / PATA Internal 5.25" CDRW Drive - NR7500A. NEC Corporation. Buffer Size. Missing Front Tray Faceplate / Bezel. female, male. CD-RW drive - internal. INTERFACE PROVIDED. Read Speed. Pulled from a working Dell GX620 SFF, includes mounting bracket which can be removed if not needed. Also includes cable (see pictures). Check picture. eMachines bezel. (Unless specifically listed otherwise). Drivers not included unless specifically listed. Model FD3238T Color Black. NEC 1.44MB Slim Floppy Drive Blk Door & Button No Bezel. NO Bezel New. Part Number134-508053-222-0.